Arty: Ahhhhhh, Nancy Westfall. If I were to sum up Nancy in a word it would be generous. I got a hold of Nancy when we had a little emergency at McGoo U to see if she could fill in an Expert Lab segment for us. I had never met her before! You see, I have a theory that everyone has something to teach, and I truly believe that. We are all experts at something. What I didn’t know was that Nancy is a flippin’ GENIUS! She has perfected the art of stencil making/designing and is a teacher by profession. She swooped in like a superhero sans cape with her cutting machines and stencil making paraphernalia in tow ready to share her knowledge. Did I mention she had 30 minutes notice?! She blew me away! If you have ever wondered about cutting your own stencils, Nancy is your woman. She knows the ins, outs, and upside downs of the different machines, supplies, and tools and even better, she knows how to guide you through the learning process and make it easy for you. 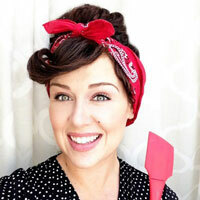 Nancy: I am so excited to be a guest on Arty McGoo’s Blog! I met Arty and Mr. John last Spring when they called me to film a video segment for McGoo U. It was quite a surprise! I was really excited! I had no time to plan or get nervous because I was filling in for someone at the very last minute. I had no idea what was in store for me! 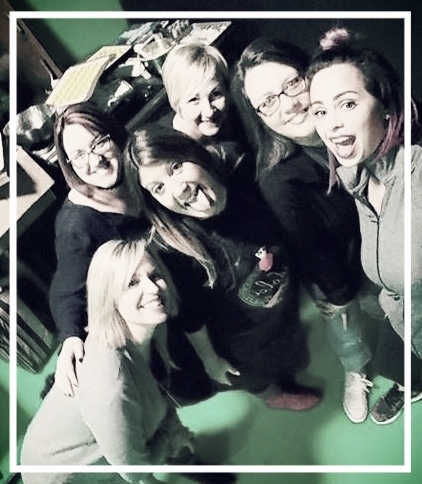 The people on set were so much fun! I had a great time. From that day on, I began meeting more cookiers and have continued to make great cookie friends. Shenanigans on the set of McGoo U! I got to go back and film again just last month. Getting to film with Arty a second time was just as much fun as the first. From one good thing, came another! I had just moved back to the KC area last Spring. That evening after filming, there was a dinner/meet up for local cookiers. So many local cookiers came to meet Arty. It inspired me to create a Facebook group for the KC metro area cookiers so that we could keep in touch. It has grown to 42 members today. Through our local FB group, many of us have become close friends. It is great to have a good relationship with local cookiers. We get together often and even go on field trips once in a while. And as a special treat when the Arty McGoo Crew comes to town, we get together for dinner and an evening of fun with them! I feel like I have truly been blessed by some of the best friends! In my previous life, I was an elementary school teacher. I loved it! I enjoy teaching very much! I had always wanted to learn to decorate sugar cookies. I started following a lot of cookiers on Facebook and watching YouTube videos. They were all so generous with their knowledge and helpful tutorials. When friends and family started asking me to decorate cookies for them, I decided to start my own cookie decorating business. 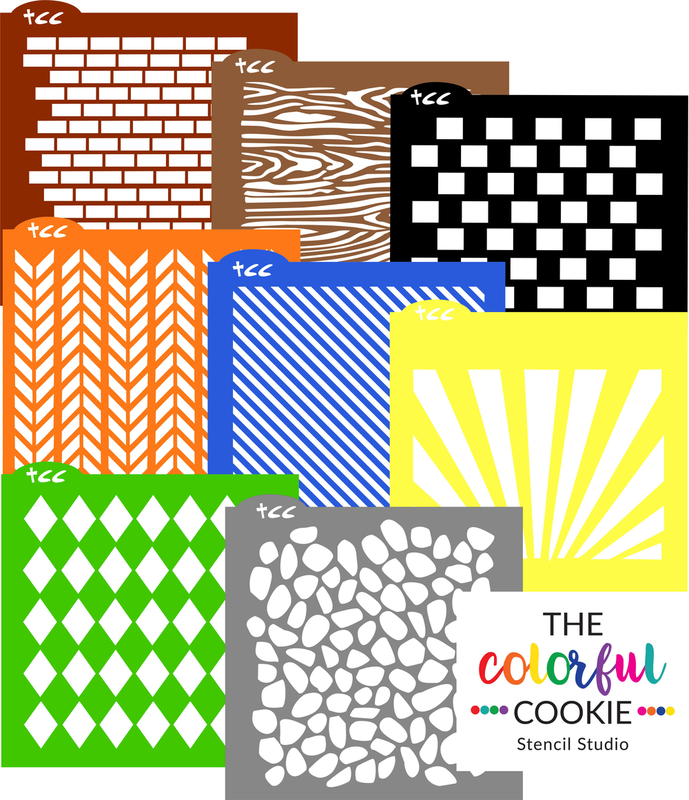 I love all things colorful, so I called it “The Colorful Cookie.” I purchased several stencils for orders. Stenciling made the cookie decorating process quick and easy, but I had to plan in advance to order custom stencils. Sometimes there was not enough time to wait for them to come in the mail. That is when I decided to buy a Cricut Explore Air to design and cut my own stencils. I could not find any specific help or tutorials to show me the exact process. I spent many hours and wasted a lot of stencil material learning the process. Now, everything I see gets “stencilized” in my head! I always say it’s like when you learn to read. You can’t “unlearn” it, if that is a word. Everything just fell into place as I was learning how to use the software. I began sharing what I was learning with others in Facebook Groups. After mastering Cricut Design Space, people were asking me questions about Silhouette Studio software. I didn’t know anything about it, but I wanted to help them learn, so I purchased a Silhouette Cameo 3. More and more people started asking me questions, sending me emails and messages. I really enjoyed helping them learn. I was teaching again! The next step in my journey was a big one! Teaching designing and cutting stencils became more than a full time job. I have followers from all over the world, which still amazes me! Launching The Colorful Cookie Club was a huge project for me. I have learned so much about technology and how everything hooks up. More than I ever wanted to know! The club is awesome and I am so glad that I started it! 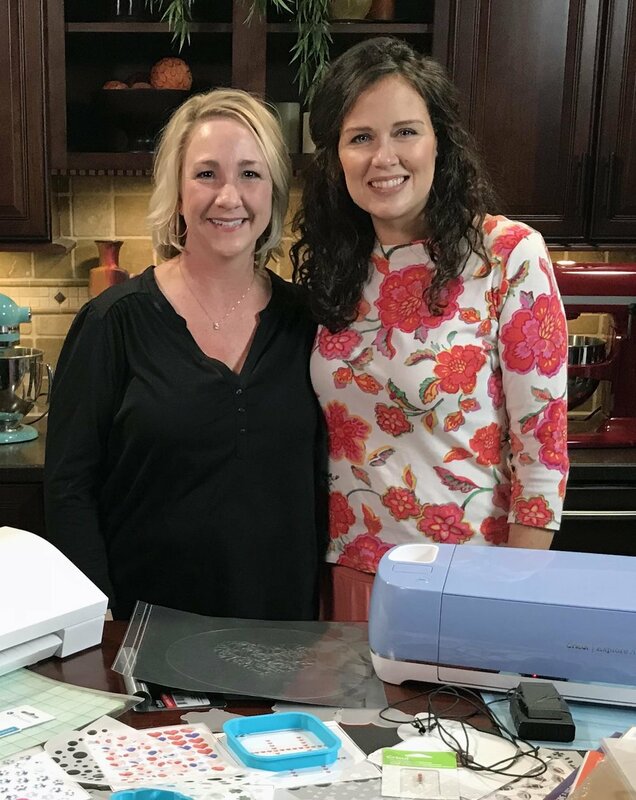 It is a monthly membership club offering tutorials for both Cricut and Silhouette software. The tutorials cover all of the software tools and how to use cutting machines. With the membership also comes helpful support through a members only Facebook group, a weekly FB LIVE Q & A, a set of step by step, easy to follow stencil tutorials with a specific theme each month, a 20% discount on every item purchased from the online shop, a free stencil download each month, and members can be entered to win an Amazon gift card in our monthly contest. My cookie journey has been amazing and I am enjoying every minute of it! Thank you Arty McGoo and thank you to the cookie community. It’s the love and support from all of my cookie friends that has inspired me to do what I’m doing today. If you are interested in learning more about designing and cutting stencils, The Colorful Cookie Club Membership is now open for enrollment. Next PostGuest Post: 2 T’s Stencils in the house!